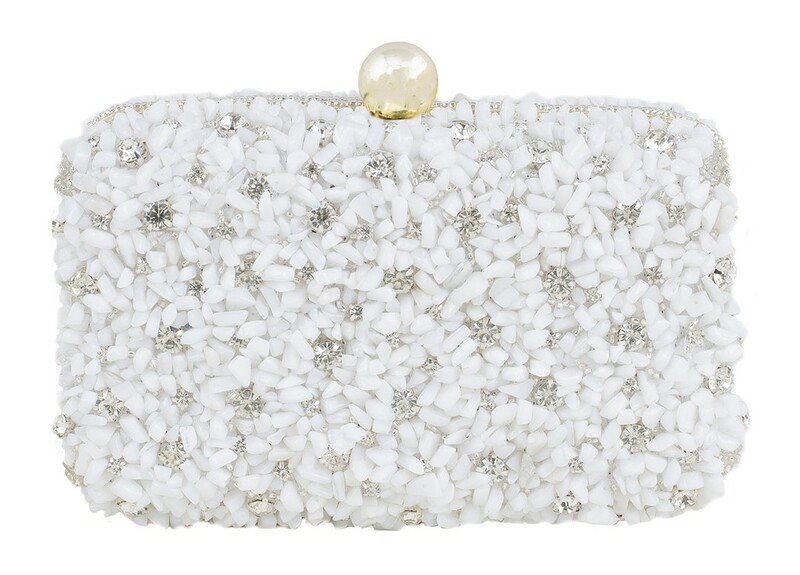 Adorn the Limited Edition Spirit White Minaudière, intricately set in ivory white stones and silver crystals by hand. 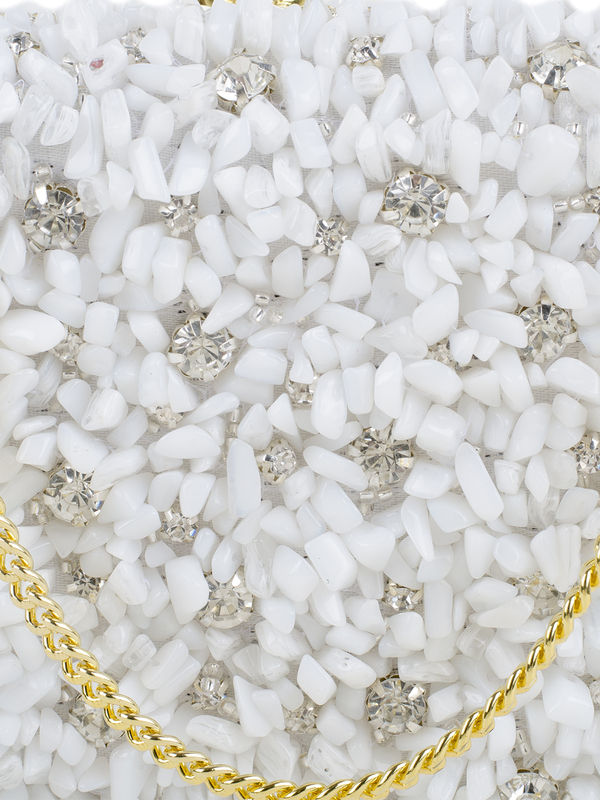 The statement piece is a one of a kind design which is sure to make heads turn, and add that touch of elegance to your look! 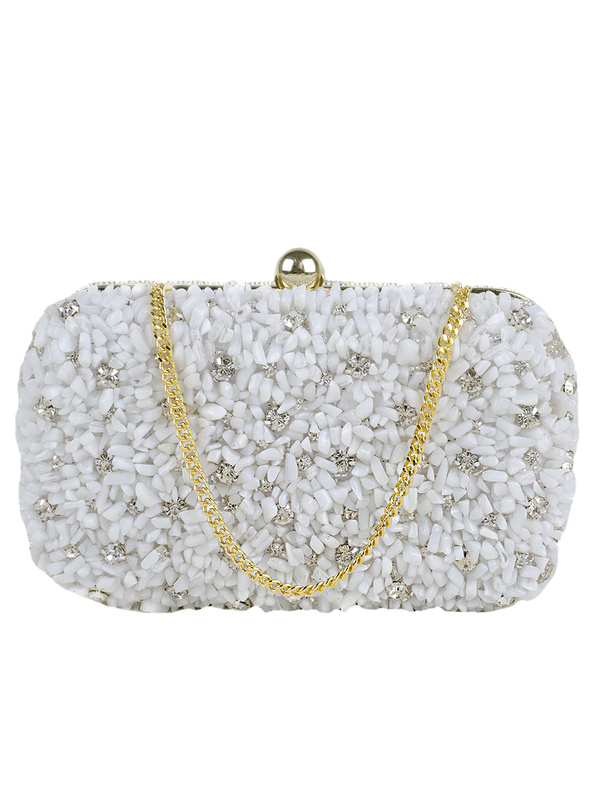 Versatile in it's colour and size, it is ideal to carry with an ethnic, western or indo - western outfit.